Every summer, Citylife sends a team to London to partner with the London City Mission (LCM) and the ministry of Cafe Forever in London’s Isle of Dogs. 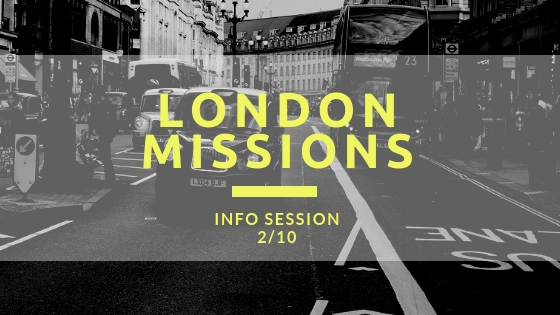 The LCM is the oldest and most widely acknowledged and effective mission in London. Citylife will be sending it’s 12th short-term missions team on July 6 – July 14 and we’d like you to prayerfully consider joining us on this trip. If you’d like more information regarding this trip, come out to our info session on February 10 at 12:15 pm (Revere Hotel, 200 Stuart St., Boston – 6th floor – Room Bigelow). Our Missions Director will provide an overview of our partnership with the ministry of Cafe Forever and share details about the trip. If you’re unable to attend, contact daniel@citylifeboston.org for more information regarding the trip.